Being born and raised in New Orleans, I knew my city was unique, filled with love, culture, good food and music. However, I was also curious about other cities. Many of my friends knew New Orleans was their forever home, but I was open and intrigued by the possibility of exploring other places. So when my future husband started looking into career opportunities outside of the city, I opened my heart to a new adventure. I’d be lying if I told you I wasn’t warned that I would miss the city. Advice, questions and personal opinions came on a daily basis from family, friends, co-workers, the lady in the grocery store, the man at the coffee shop — you get it. After hearing the same lines over and over again, it became easy to smile and nod, while their words entered in one ear and exited the other. Before passing judgment, please remember I was in my twenties and, like most twenty-something year olds, I knew better than to listen to “old” people, who, by the way, at that time were younger than I am today. I could blithely ignore these comments because, well, I have an amazing family. While they didn’t want me to move, they were super supportive. Fast forward to today, with children of my own and no longer in my twenties, I give my parents major props for not sharing (at least with me) how they really felt about me moving. The thing is, while I heard all these warnings, I actually believed only a few of them. I knew I’d miss the city, my family and friends, but I never imagined how my love and appreciation for New Orleans would only get stronger. Here are a few things I’ve learned over the past 14 years from moving away. Mardi Gras Day for most cities outside Louisiana is just another Tuesday. 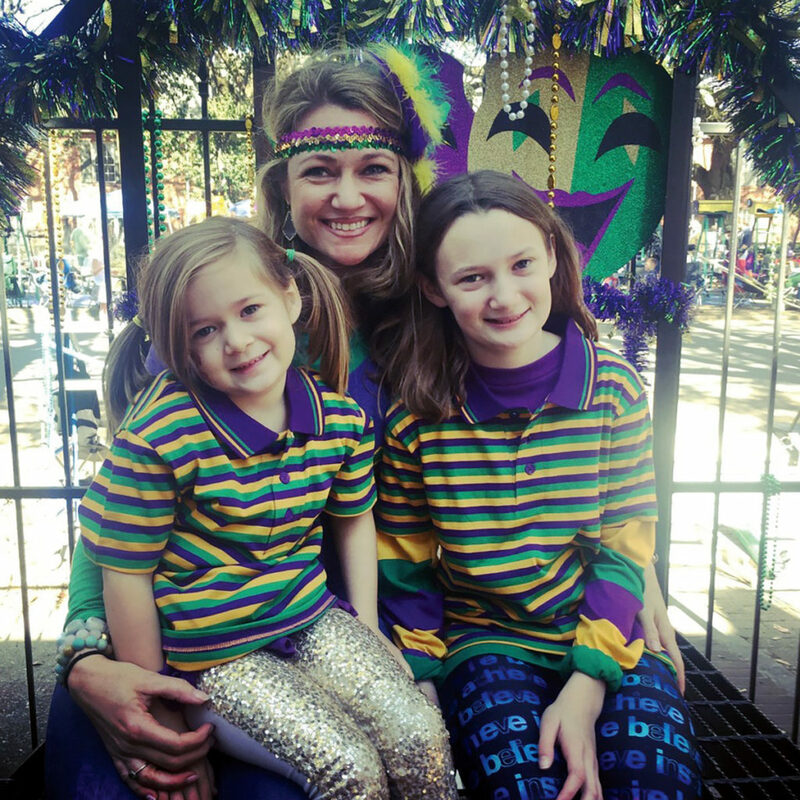 People go to work; kids go to school; no one dresses up; beads are not thrown. But, if you’re lucky, someone sends you a king cake. When asked “Where’d you go to school?” they are asking about college, not high school. It may take time to grasp this one, but you’ll eventually catch on. In the first few years of being away, you’ll get really homesick, especially when your clan is celebrating something or someone (particularly a new niece or nephew), but it does get easier. You’ll make it back as often as your time and budget allow. You’ll also find peace where you are, and learn to savor and embrace the moments you are able to celebrate in New Orleans. Eventually, you’ll learn that being from New Orleans is part of your story, but your book has hundreds of pages to be filled. Whatever pulled you from the city had a purpose. The people, places and opportunities in both your present and past are all part of it, so it’s up to you to write a good one. If you have an open heart and mind to wherever life takes you, your journey is sure to be an interesting one. Your circle will expand; your network will grow; and you’ll learn that, while New Orleans is still home, your heart has the capacity and room to love and appreciate the beauty and people in other cities as well. If there is one thing that being born and raised in New Orleans has taught me, it’s to find the beauty in everything and everyone. I thank you, New Orleans, for showing me how to do so.